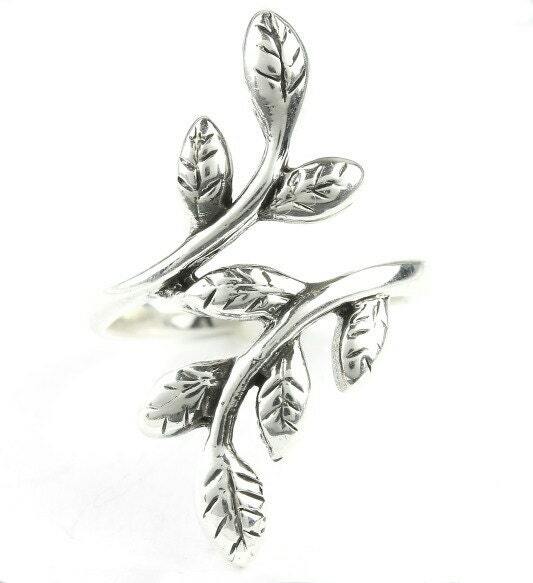 Sterling silver ring with lovely vine and leaves design. Leaves are a beautiful symbol of energy and life. 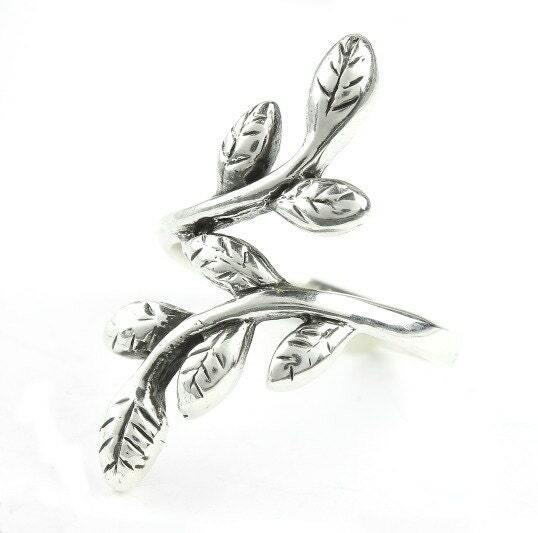 Pairs well with other silver rings and gemstone pieces. Beautiful ring and fits comfortably! Love it! Love it! Exactly as pictured. Fits beautifully, very quick shipping and delivery. 100% satisfied. Thanks Raw!! !